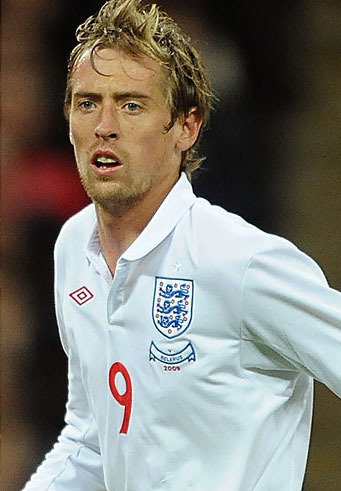 [The Sun, 28 MAR 2011] - Peter Crouch was quizzed by security in ultra-strict Dubai after going back to an air hostess’s flats at 3am. England striker Crouch, 30, signed in as a visitor at the plush Millennium Tower skyscraper when he arrived there with Suzanne Thunestveit, 22, following a boozy party. But he left just ten minutes later after he was questioned by the head of security at the complex. Unmarried couples who breach the Arab state’s strict morality laws can be flogged or even jailed. Crouch — whose fiancée Abbey Clancy gave birth to their daughter Sophia Ruby two weeks ago — was on a team-bonding break in Dubai with his club Spurs. He and Norwegian Suzanne went to the Tower, which houses 1,000 Emirates airline staff, after a nightclub party in which he and team-mates spent £60,000 on drinks. 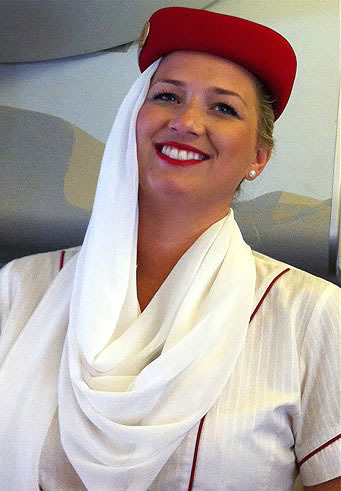 A British Emirates air stewardess told pals on Facebook she gave Crouch a dressing down after spotting him at the Tower and took a photo of him as evidence. The Tower’s handwritten log shows Crouch was initially signed in as “Peter Johnson” — but the surname was crossed out and replaced with his real name. He was logged as a guest of “Susie” — though the number of her 11th-floor apartment was similarly entered correctly only after another had been crossed out. His arrival was filmed on CCTV on February 27 — as model Abbey, 26, was preparing to give birth back home. A staff member at the Tower said an inquiry into what went on had been ordered. Unmarried foreign couples face harsh penalties if caught “sharing private space” — which can include flats, hotel rooms or even cars. Apartment blocks keep visitors’ books to ensure the code is not breached. There is no suggestion Crouch was involved in any improper conduct with Suzanne, who claimed she merely wanted to collect something from her flat. She told security staff she did not try to sneak Crouch in and pointed out the log shows his visit was for ten minutes only. Suzanne said the millionaire star was “just a friend” introduced by mutual pals. Spurs boss Harry Redknapp sent his players to Dubai as they prepared for a Champions League clash with AC Milan. During a night at the flashy Cavalli Club, the footballers ran up a £60,000 bar bill as they bought the finest champagne for themselves and women guests.